Home » blocks » 4 cool ladders Pat K.
4 cool ladders Pat K.
Here are my 4 entries….Dang it! 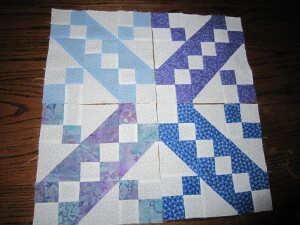 I see that I missewed one of the blocks. I promise I will fix it before I send it to the lucky winner. Isn’t it crazy how you can make a block, press a block, photograph a block, download the photo to your computer, but not see that thee’s a mistake in the block until you post it?